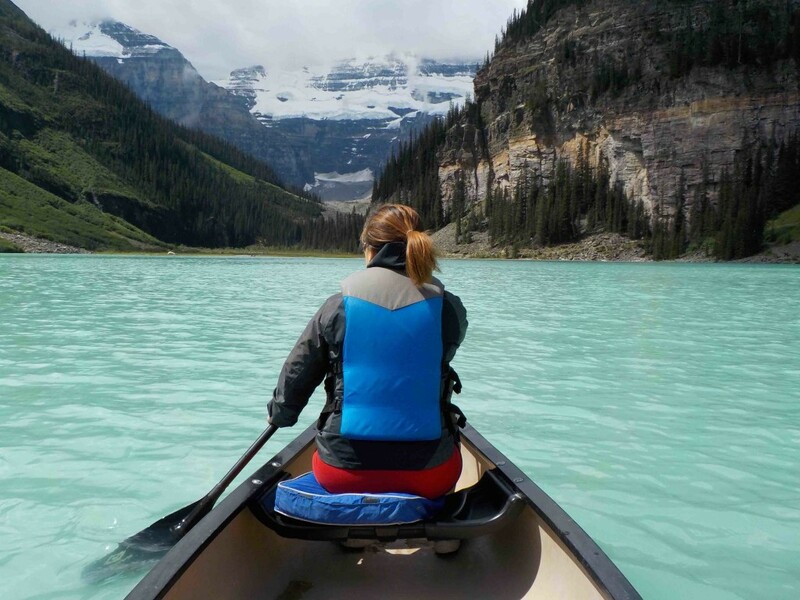 Must Go Canoeing at Lake Louise ! Before going on our road trip to the Rockies, I was told by several friends that Lake Louise has a stunning view but packed with tourists. 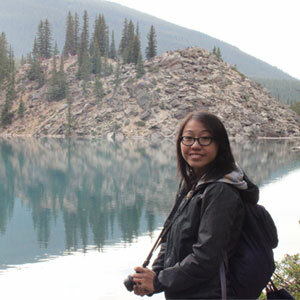 However they said, if you prefer the peacefulness of nature, then we needed to drop by Moraine Lake which is only a several minutes drive from there. We made sure to drop by before 10am since Moraine Lake has very limited parking and also, to ensure we miss the crowd. My friends were right, Moraine Lake was incredible! Staring at a calm, turquoise lake, with mountains as a backdrop, no words can describe how beautiful it was. We wanted to rent a canoe at Moraine Lake for $50 an hour but unfortunately, it was still closed and by the time it opened, it was raining cats and dogs outside. 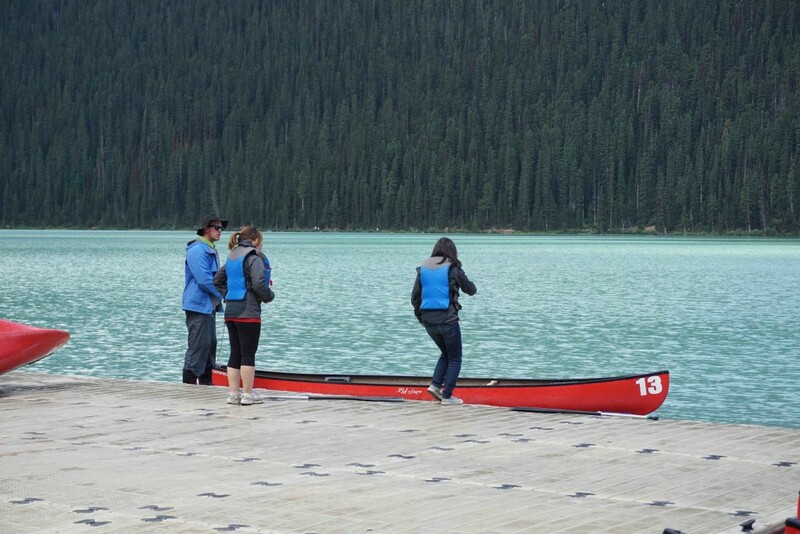 We really wanted to go canoeing so we thought we’d take our chances with Lake Louise. 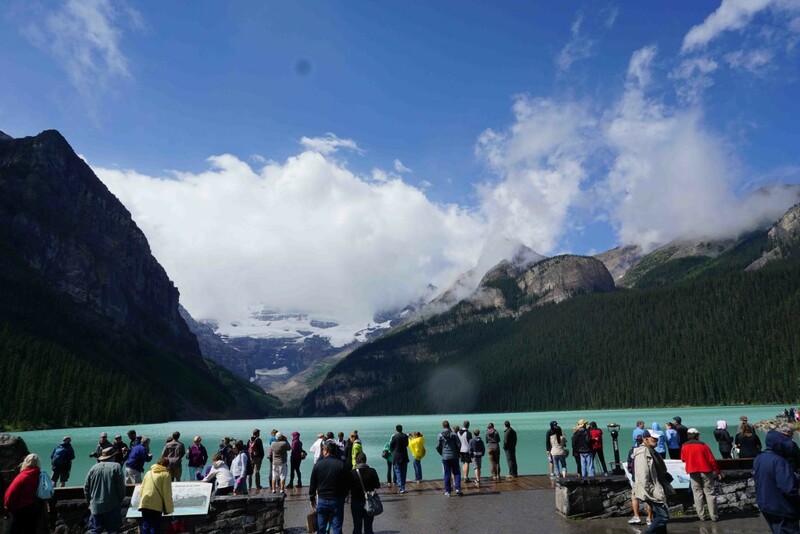 When we got to Lake Louise, it was past noon, and there was a lineup going into the parking lot. Luckily, we spotted someone leaving so we managed to find parking in less than 5 minutes. Once we got to the lake, there was people everywhere! Just as we arrived, the rain had stopped so we immediately dropped by the canoe rentals and try our luck. They just happen to re-open and we managed to be the second canoe out on the lake. The sun also just happened to re-appear! With the sun warming up our bodies, we started our journey, paddling our way towards the stunning view of the glacier. Lake Louise is pretty huge so as we distanced ourselves from the noisy tourists, we were back to being with the nature once more, admiring the light calm turquoise lake as we paddled on. We were fortunate with the series of events that happened since I’m glad we ended up canoeing at Lake Louise instead of Lake Moraine. 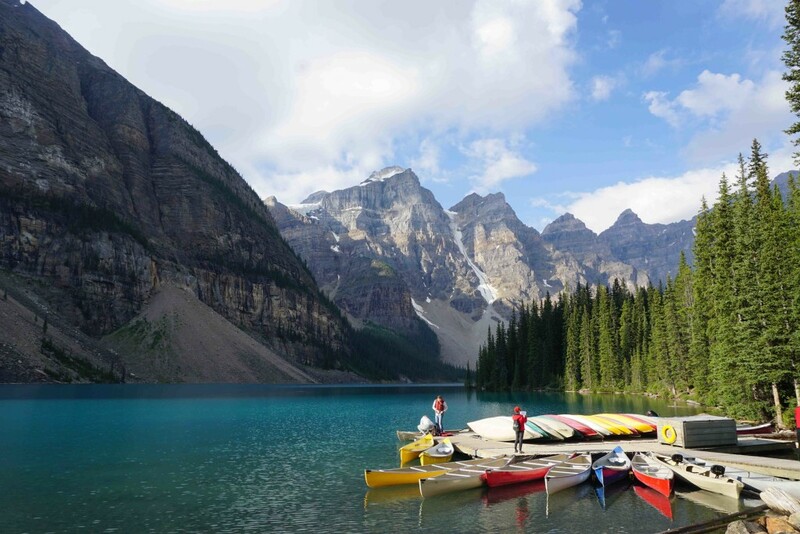 This vast body of water along with its majestic surrounding mountains made the canoeing experience very memorable! 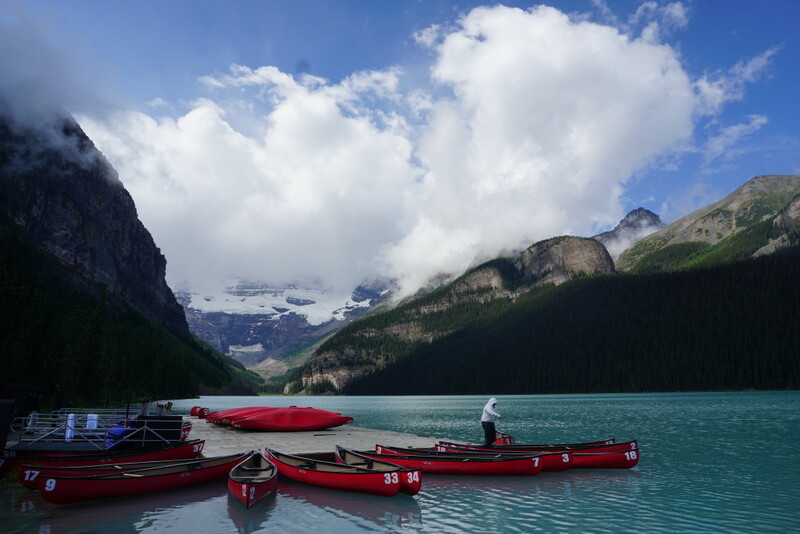 Check my video below to see our canoeing experience at Lake Louise!